Hey friends! 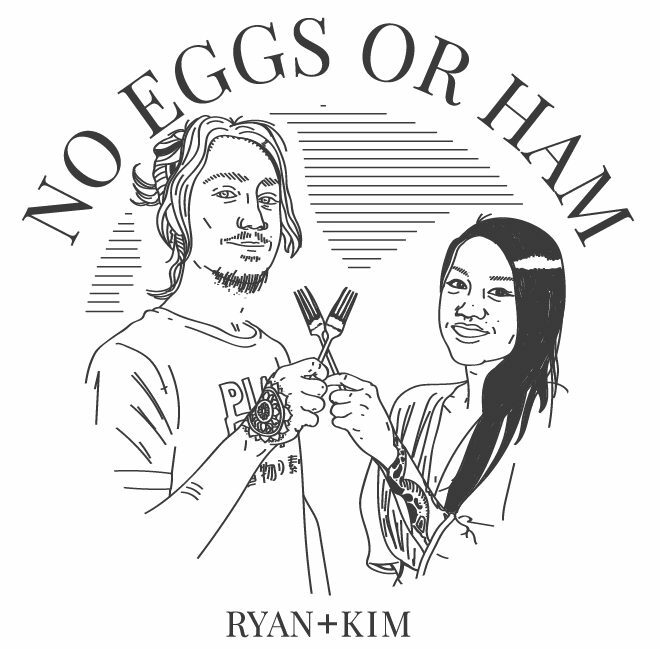 We are Kim and Ryan – welcome to No Eggs or Ham. We’re two food enthusiasts who created this website in early 2017 to share our love of cooking, and its art, with others. All of our recipes fit a vegan diet, but we’ll dabble into the worlds of sugar-free, gluten-free, and lectin-limited every so often. We relish particularly in Asian cuisine, American comfort foods, and sweet pastries from cupcakes to brownies. Therefore, you’ll see a lot of recipes that fall under one of those umbrellas. If you decide to follow along our journey, you can expect new recipes every Tuesday and Friday, featuring from-scratch recipes and mouth-watering worthy photography, along with little doses of food science, culinary techniques, and bad jokes. Is there a dish that you’ve been longing for ever since changing your dietary ways? Well, we can help out with that too! Recommend us your favorite meal here – no matter how much meat, cheese, or sugar it contains – and we will recreate it in a way that suits your modern standards. Ryan is the head chef of No Eggs or Ham – he researches ideas, tests recipes, and is the author behind the posts. Kim is the architect and sous chef of No Eggs or Ham – she researches ideas, engineers the website, and photographs & edits the content.